I had read that due to its beauty, the former capital of ancient Persia, Isfahan or Esfahan, in its heyday was dubbed Half of the World. When I got there and started ambling about, I understood why. 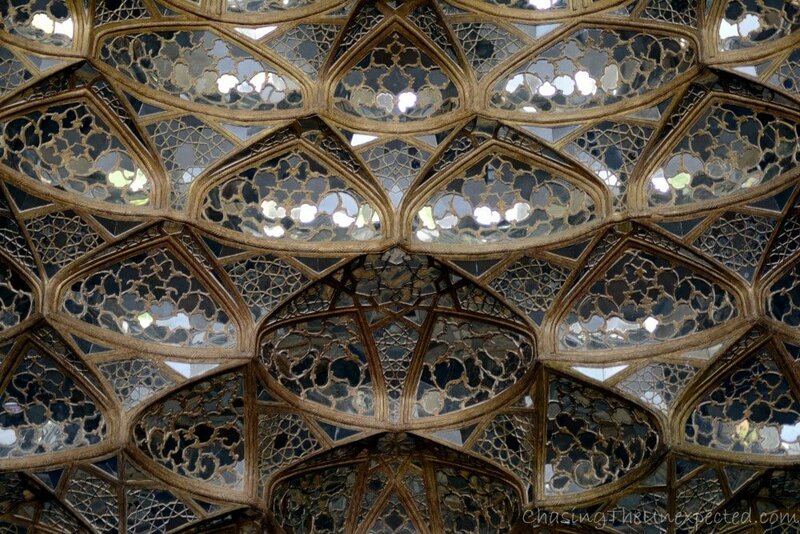 Praised and celebrated by travelers, artists and writers from different nations and periods, from Venetian Marco Polo to Roman book collector Pietro Della Valle to Edward Browne in his A Year Amongst the Persians (1893), Isfahan has bedazzled visitors for centuries and shows no sign of cooling. 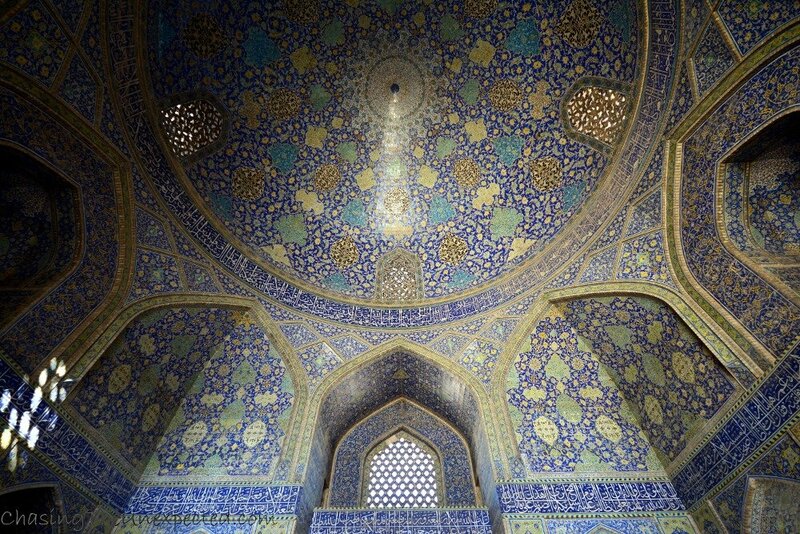 Pietro della Valle even had the chance to wander Isfahan’s streets right at the time when Shah Abbas was working on revamping the cityscape with the majestic mosques and palaces we can visit today. 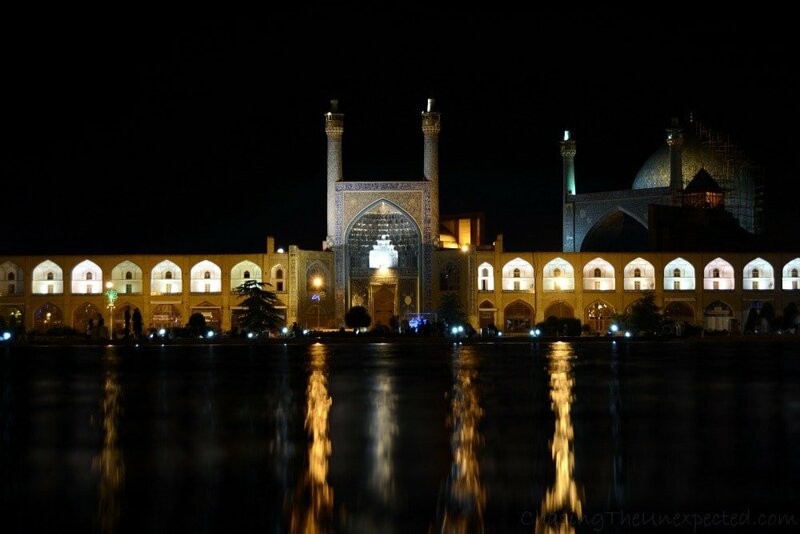 My first experience in the stunning Isfahan, Iran, was with a group of Italian tourists. We had traveled to Isfahan from Shiraz by bus, and even though the bus was VIP (read, super comfortable) and the ride wasn’t too long (some six hours), we were looking forward to relaxing a little. Until I heard the enthusiasm in the Italian group. 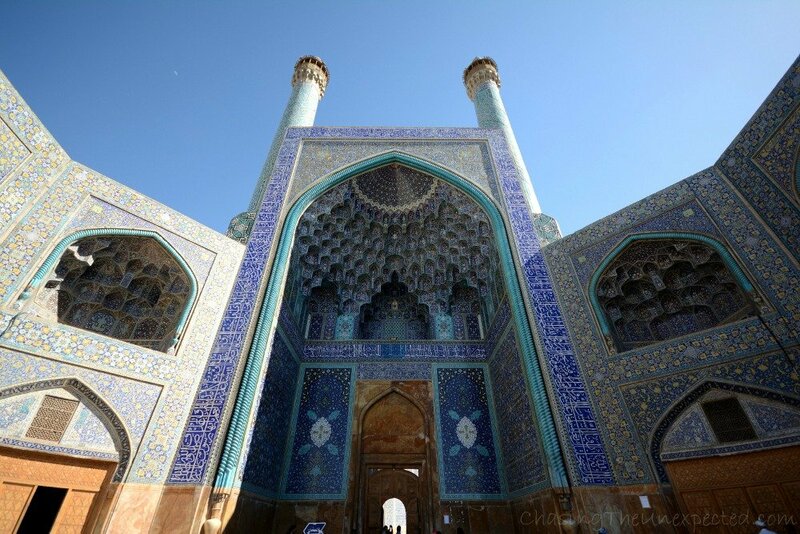 We quickly refreshed and off we were to delve into the history, art, culture, and life of the beautiful city of Isfahan. Iran is no easy destination, if you don’t feel confident enough to organize your trip by yourself you can rely on experienced and reliable G Adventures and book their 14-day Discover Persia tour to visit all the must-see places if you are traveling to Iran for the first time such as Tehran, Shiraz, Isfahan and Yazd. Highly recommended. Click here for more details on availability and latest prices. 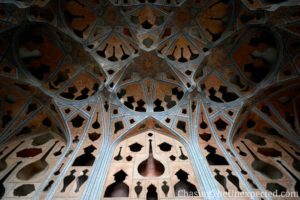 As a matter of fact, Isfahan is precisely that, an oasis of beauty, and what we were about to explore was a vivid proof of that. Starting right from the Iranian city’s heart, the world-famous Imam Square (Naqsh-e Jahan), large park boasting a giant pool festooned with dancing fountains and framed with historical monuments such as Sheikh Lotfollah Mosque, Imam Mosque and Ali Qapu Palace, the remarkable building commissioned by Safavid ruler Shah Abbas I that served as a glorious entrance to the main places bearing the name of his dynasty. 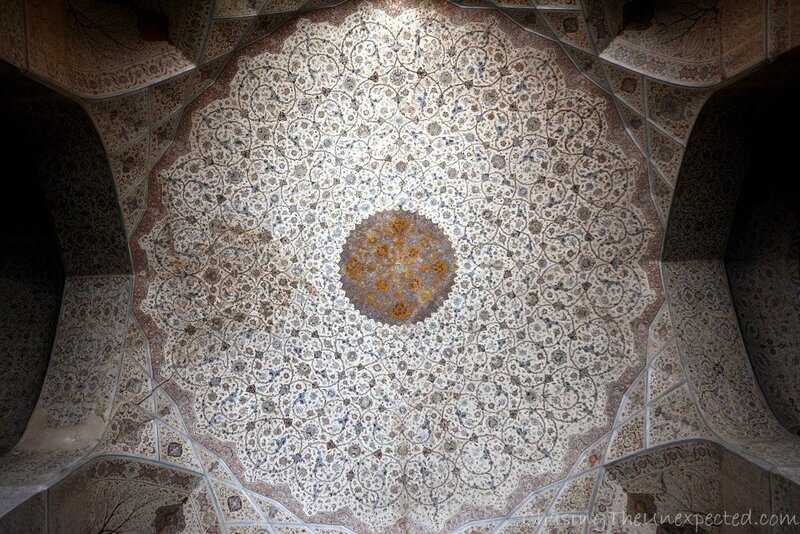 Some of the brightest moments in Isfahan’s architecture were, in fact, the Safavid period, especially under the rule of Shah Abbas, and most of the palaces and monuments in the city center date back to that time. While Masjid-e Imam (or Masjid-e Shah, as was its name before 1979 Revolution) is, without a doubt, a striking feast for the eyes, I enjoyed more my journey through the play of light, the beguiling interaction of colors, symmetries and patterns, and the quiet atmosphere of Sheikh Lotfollah Mosque. Originally meant as a private prayer place for the royal family, this mosque, apart from being without minarets, it’s also much smaller than Masjed-e Imam. A detail that I would have certainly missed when I was leaving, if the mosque guard wouldn’t have pointed it out to us, was the beautiful trick of light on the ceiling with which the sun rays seeping through the hole sketch the shape of peacock tail, the only possible way an animal, or part of one, could have been represented inside a mosque. After the mandatory tour of the two mosques in Isfahan Naqsh-e Jahan, make the time to visit Kakh-e Ali Qapu, کاخ عالی قاپو, Persian standing for “palace of the supreme gate”. 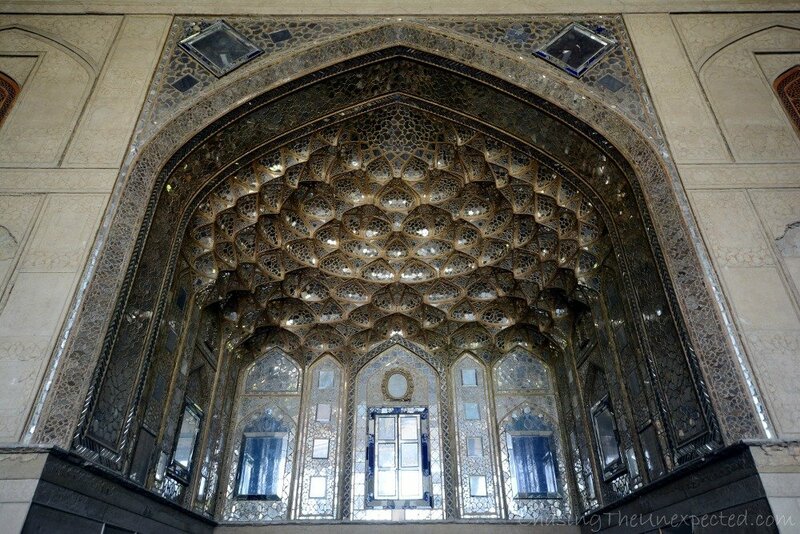 Royal residence of the Safavid king, 16th century Ali Qapu Palace is strategically located in the middle of the most important buildings of the time. Not only it offers an astonishing insight of Safavid artistic interiors, but also a fish-eye view of Naqsh-e Jahan Square. 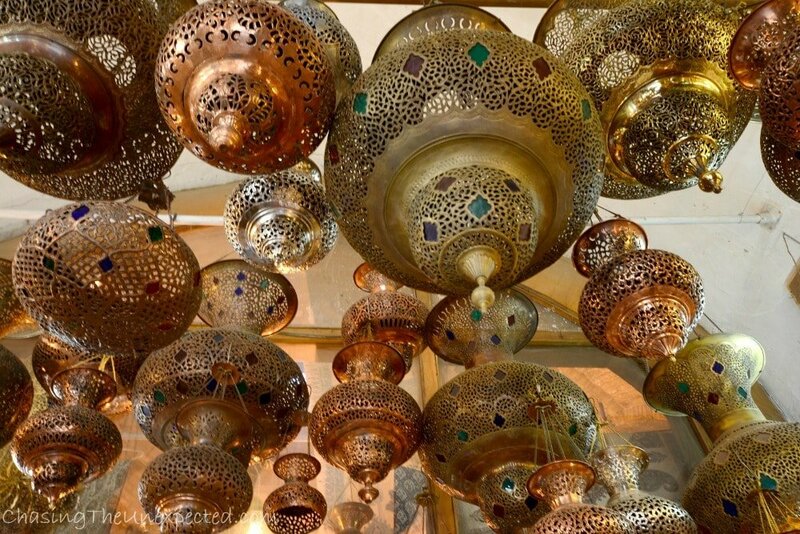 Start your tour of 6-storey Kakh-e Ali Qapu with the frescoes of the ground floor, climb up the brightly decorated stairs and reach the terrace from where you can take the best photo of Imam Square, and enjoy the life in the historical park and bazaar. When you are done, keep climbing up and get to the stunning “Music Hall” on the last floor, the ceiling of which is finely carved not only for creative reasons but also with acoustic purposes to enhance the sounds and music. Out of the 52 rooms, only a few can be visited as renovation works are still going on. Hopefully, we will be able to visit more areas. 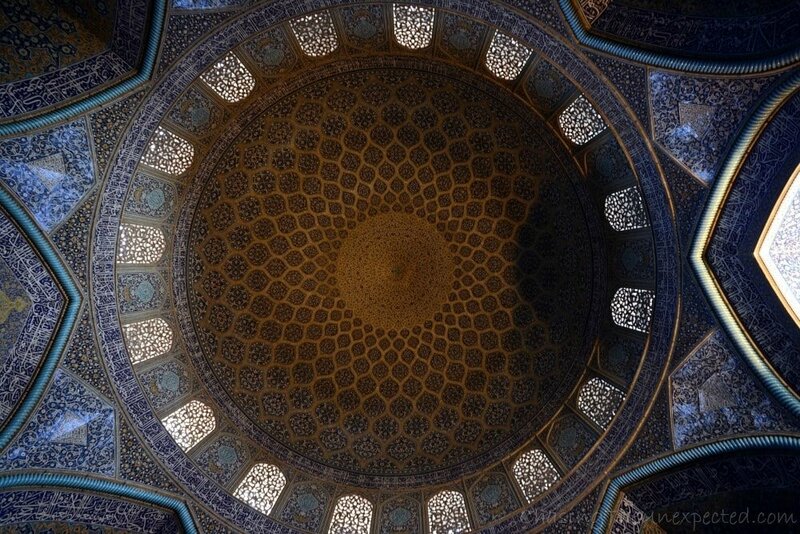 Many were the projects part of Shah Abbas’ bigger design after he moved the capital from Qazvin to Isfahan. His most immediate urban plans included the construction of Chaharbagh Abbasi Street and a series of gardens on both sides of Imam Square. 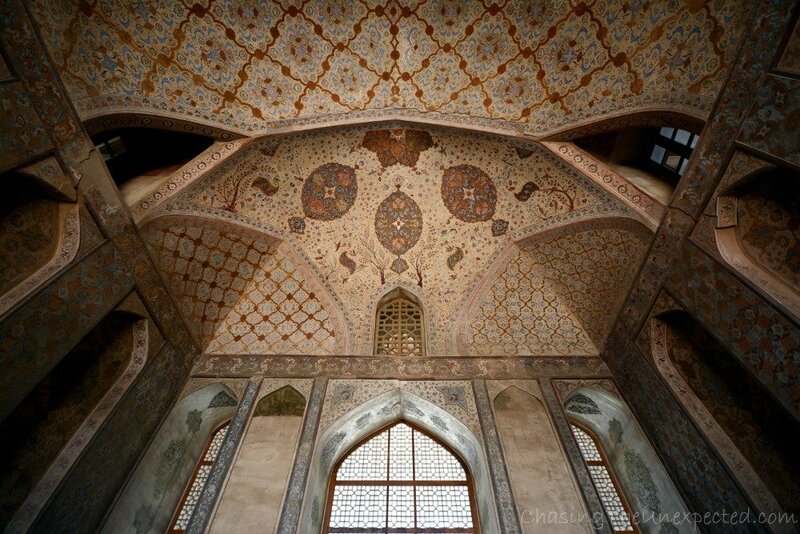 Part of this series was also Chehel Sotoun Garden, literally “forty pillars”, a square-shaped park the main entrance of which runs through a covered passageway that leads to Ali Qapu Palace. 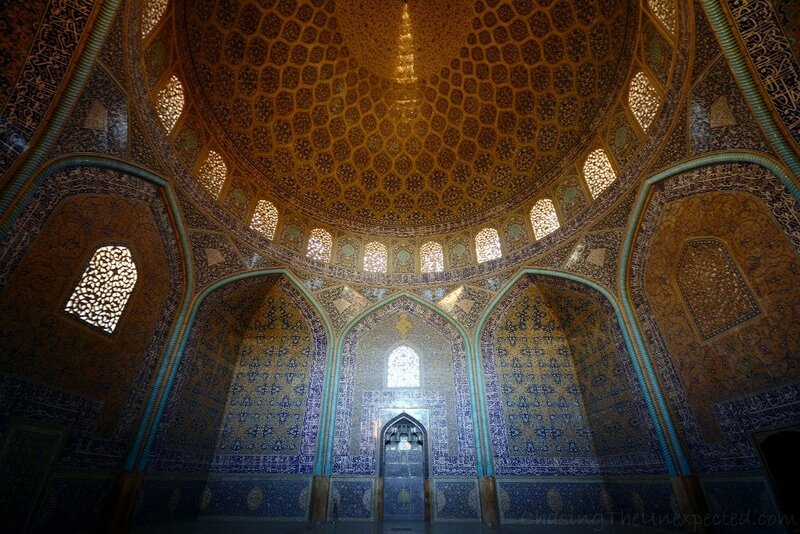 Chehel Sotoun Garden comprises also of a pavilion which, thanks to the usual elaborate decorations that adorn palaces, mosques and monuments in Iran, constitutes a great subject for passionate photographers. Like in most Persian-style gardens, water plays a major role organized in basins, streams, and pools, and here, probably due to the presence of the forty pillars, it does actually contribute to creating an otherworldly atmosphere when the porch of the pavilion reflects on the water. 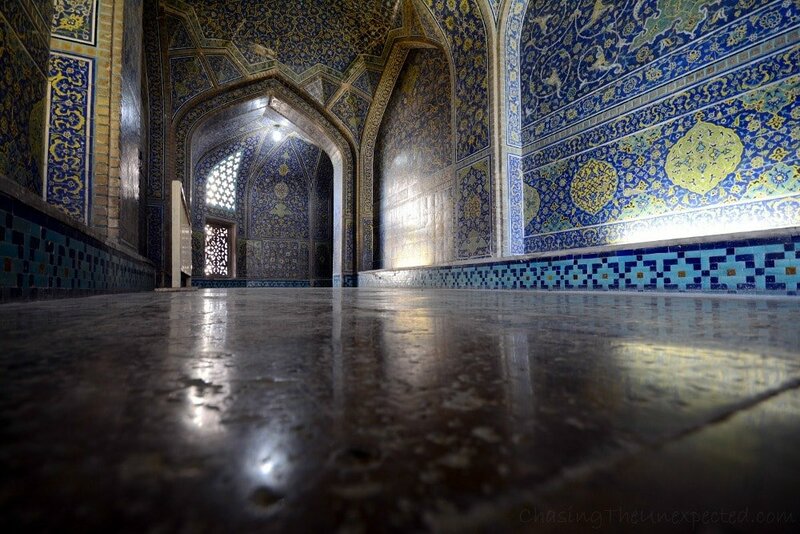 The shift from Chehel Sotoun to Hasht Behesht was quick and spontaneous. 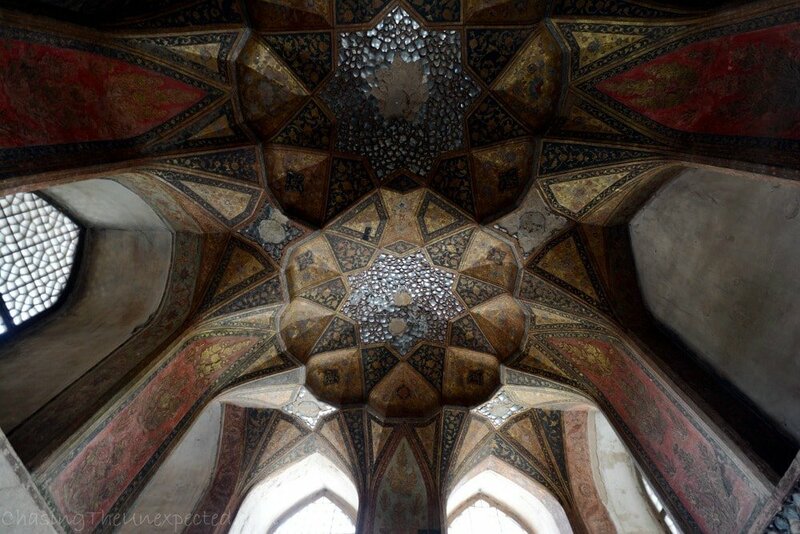 Hasht Behesht, literally translating into “eight heavens”, is another palace from the Safavid era built in the heart of a garden. The name says it pretty much all, the stunning palace boasts some sophisticated decorations, and a maze of halls, passageways, and porches decorated with pillars all around, adorning mirror artwork and fine wall paintings. 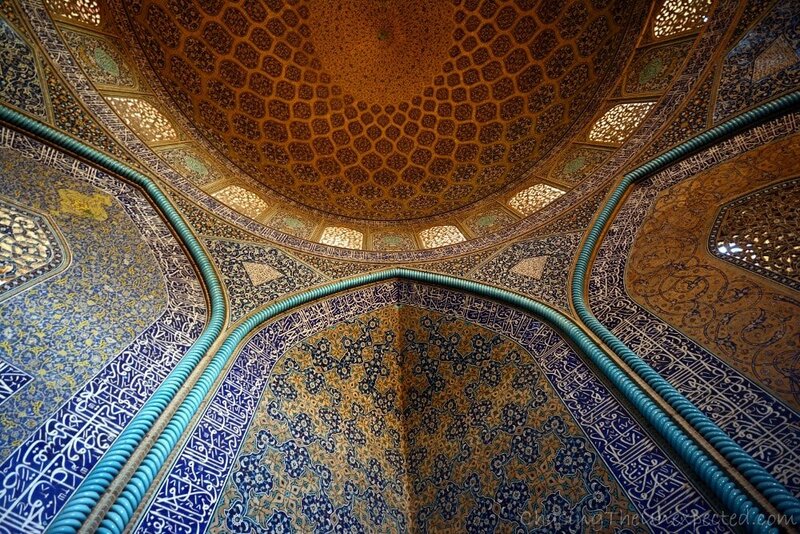 Obviously, despite the beauty of these gardens and palaces, the real, undisputed stars of the show in central Isfahan are by all means the two main mosques, Sheikh Lotfollah Mosque, known for being without minarets, and Imam Mosque, the main place for prayer. Standing on two sides of Imam Square, the mosques are the city’s most visited landmarks, glorious examples of Safavid sacred architecture where majesty, opulent blue-tiled mosaic design, and tangled pastel-colored patterns are the main features that define these monuments emblematic of 17-century Islamic decoration in Iran and Shah Abbas’ vision of art and beauty. 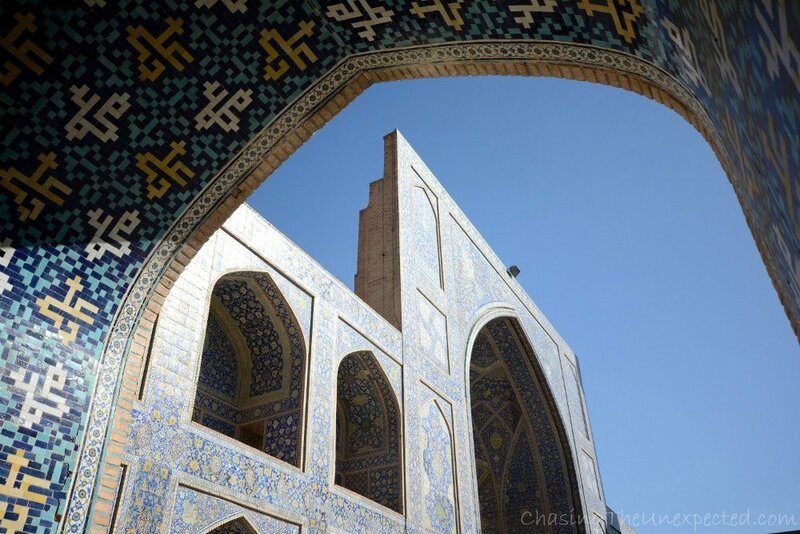 All around Imam Square is another wonder of Persia’s former capital is Isfahan Bazaar, or Ali Qapu Bazaar Artistic Complex, as reads the sign at its entrance. From minute one, I was fully aware I would have taken plenty of pictures and forked out good cash there, and as a matter of fact, this is exactly what happened. 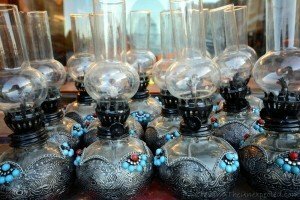 So, since I love local markets, after the mandatory sightseeing, I dived into the colorful stalls displaying Iranian handicraft in all its facets, from fine silverware to blue ceramics to tiny marble mortars used to grind the precious saffron. Several pictures and rials later, I was making my way back to the park where Madi was waiting and sunbathing, when Navid, a young carpet seller, stopped and invited me for tea. With all the discretion and sense of respectability proper of a 18th-century corset-clad lady that would have made Jane Austen proud, I thanked him, assuring I would have come back later, ill-concealing my inner thoughts of a very 21st-century worldly-wise experienced woman meaning pretty much “Yeah, right”. Little did I know, however, that Madi had a different idea altogether. As I only started to mention “te..”, she didn’t even let me finish and as a proper Iranian with only the cute tulip-shaped cup filled with the golden drink in mind, she darted towards the carpet section, giving me a little time to collect my stuff (and myself). Navid was obviously lovely and the tea experience was enriched by an interesting chat and a plunge into the Persian carpet world, the best way to round off a long day spent around mosques, palaces, and gardens. 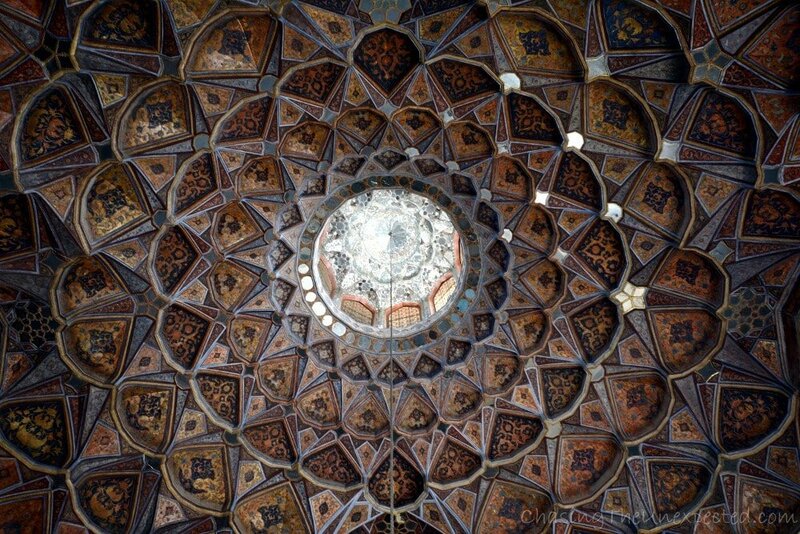 Our stay in Esfahan didn’t end there, fortunately, and the day after we visited the Armenian Vank Cathedral in the charming Jolfa district, near which we discovered the little gem of Firouz Cafe, for sure a place that will see us again next time we reach Half of the World in central Iran. New Jolfa, as it’s the full name of Isfahan Armenian quarter, was envisioned by Herat-born Shah Abbas I, the fifth king of the grand Safavid dynasty, who took power when the country was in a moment of deep crisis, threatened by the Ottomans and Uzbeks on one side and internal rivalries within the Qizilbash army on the other. Some sources report of forced migration from Armenia to Iran ordered by Shah Abbas, others speak of Armenians escaping from the Ottoman invasion and seeking refuge in Iran. All sources, however, speak of good living conditions and great cultural and religious tolerance the new Christian population met once settled in Isfahan thanks to its enlightened ruler. I knew Iranians are pretty outdoor people, as soon as they find a green patch they lay their blankets and arrange a picnic. 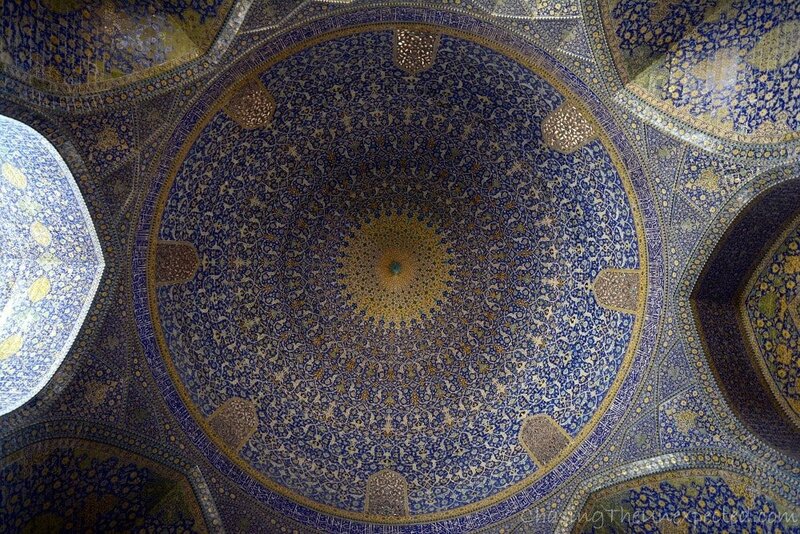 In Isfahan, however, I could sense it even more. The first time I was in the city, a taxi driver gave us the news that Zayanderud river had dried out because other parts of central Iran were suffering from a bad drought so they had to redirect the water there. The worst part, according to our driver, was that the whole city was now depressed because they spending the evening along the Si-o-Seh Pol bridge was definitely not the same thing without the river. Thankfully, my second time in Isfahan the river was there and the beautiful 33-pillar bridge gloriously reflected on it day and night. Before leaving the beautiful Iranian city, we took a stroll along the bridge, shared relaxed moments with the locals who were chatting their evening away and waved our own goodbye to Isfahan. Before you do the same, here are a couple more shots from this historical town that will inspire you to make it the destination of your next trip. 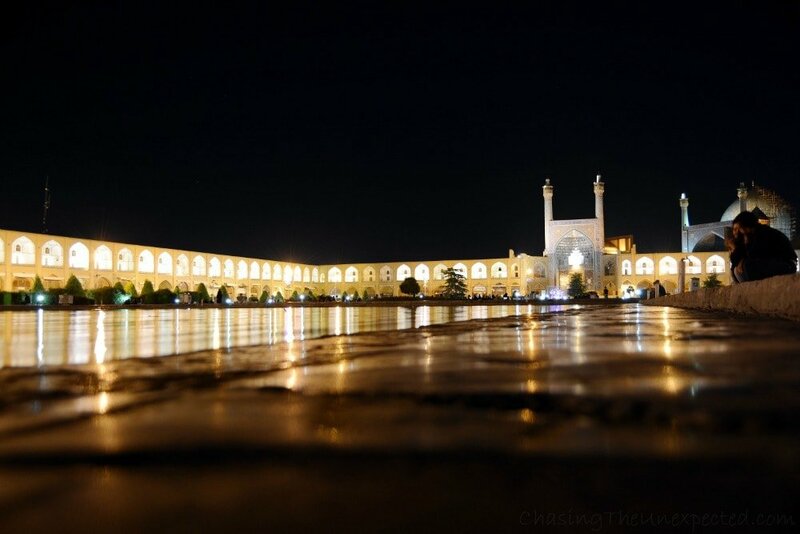 To get there, we booked the night bus from Shiraz to Isfahan. The journey took us 6 hours and cost 250.000 Iranian rials (less than 8€). 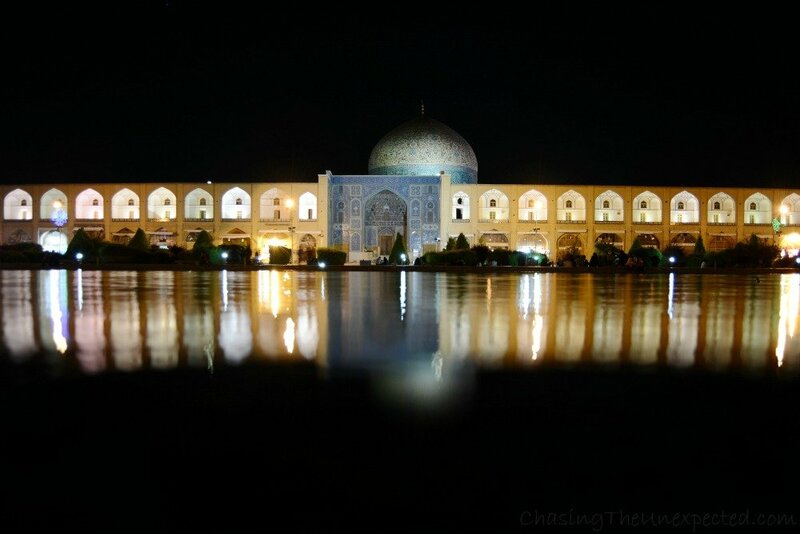 If you are traveling to Isfahan from other cities you might prefer a domestic flight. 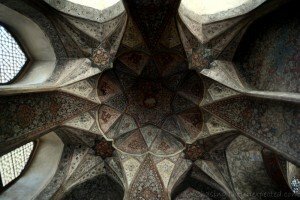 Click here to check flights, trains and buses in Iran, and current prices. 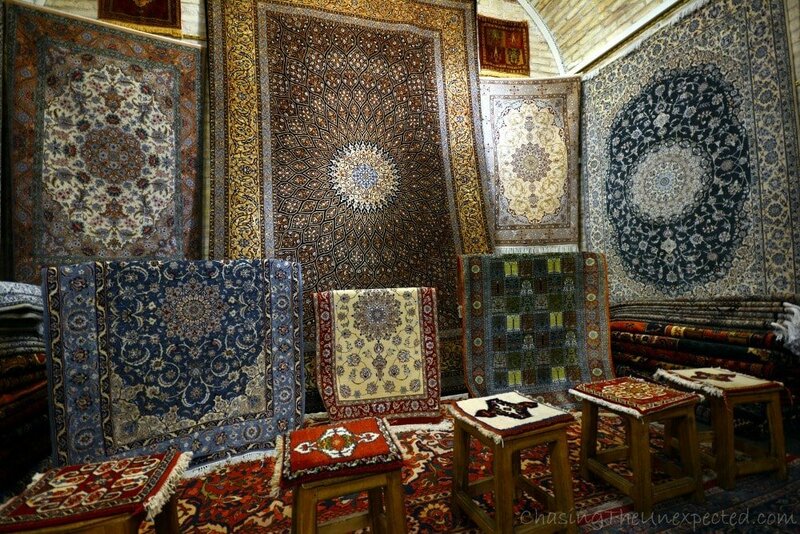 In Isfahan, we stayed at 3-star Hotel Part in Jahanara Alley, Chaharbagh Street, ten minutes walk from Naqsh-e Jahan (Imam Square), for 1.600.000 IRR (less than 50€) per night per double room. Click here for more info on rooms and prices at Iran hotels. 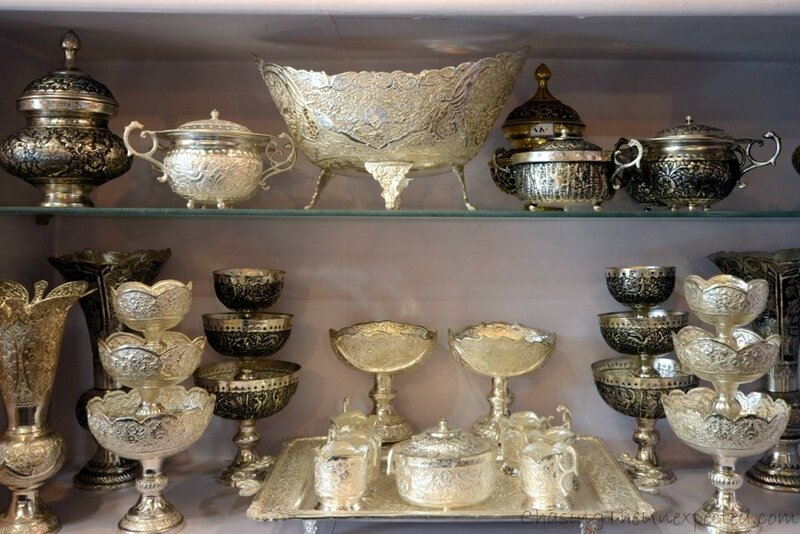 If you need some ideas on where to eat in Isfahan, I suggest Shahrzad Restaurant in Chaharbagh Abbasi, Abbas Abad Street, Hermes Restaurant & Cafe in New Jolfa Armenian District, and the above-mentioned Firouz Cafe, close to Hermes, for your tea and a delicious cake.